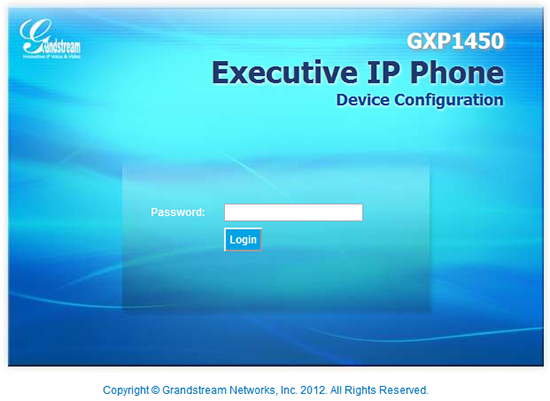 The GXP1450 is a two-line device that is part of a new line of Office IP phones from Grandstream. In our experience we found this device to be reliable, full featured, easy to configure, and affordable. These instructions are based on Grandstream GXP1450 software version 1.0.4.9; if you are running a different software version some menus and settings may be different. 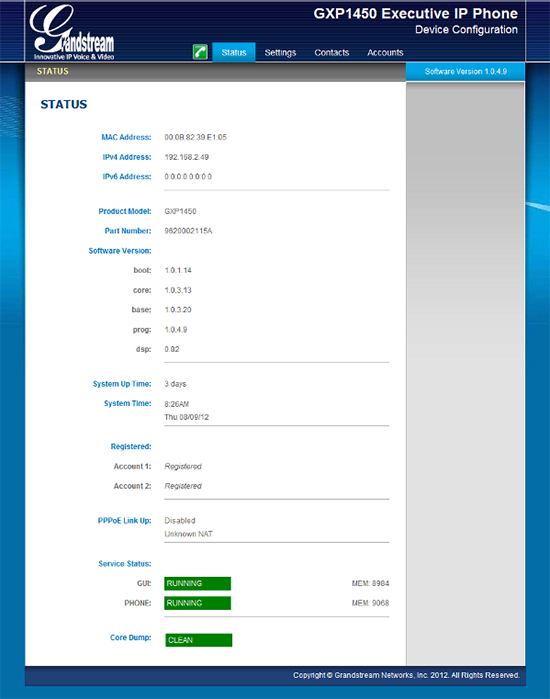 These instructions are also based on using the GXP1450 in its factory default configuration, which obtains a dynamic IP address automatically from your router using DHCP. 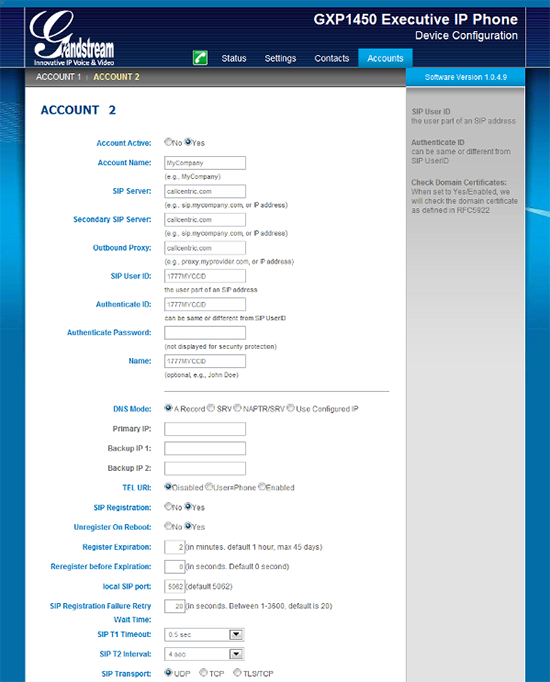 For information on configuring your GXP1450 with a static IP address please refer to the GXP1450 user manual. Configuring the GXP1450 is relatively straightforward; while there are many options available you only need to edit a few of them to get up and running. Connect your GXP1450 to your router using the included Ethernet cable. Once that's completed, plug the AC adapter to your phone then the other end to an available power outlet. Once you have powered up your device plus wait 60 seconds for GXP1450 to fully boot up. Once all changes have been made please click the "Update" button on the bottom of the page, then "Reboot" from the following page that you are brought to after the update.